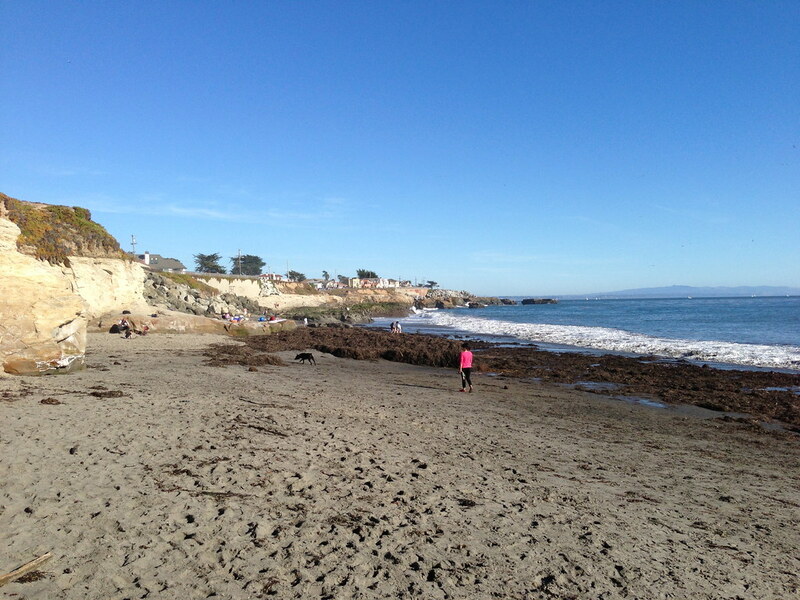 During the Thanks Giving break, I took my wife and daughter to hang out at Santa Cruz. It is a nice quiet beach city with quite a few attractions. We stopped by the Lighthouse Field State Beach to have my dog enjoy his off leash moments. The view from the lighthouse was pretty nice. I highly recommend here to enjoy walking the side walk and just enjoy the view. 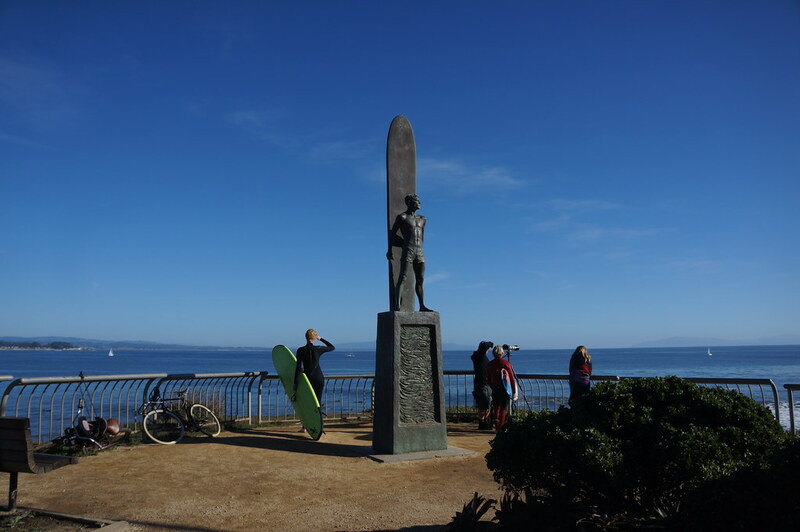 Statue of a surfer from Santa Cruz Lighthouse Field State Beach. 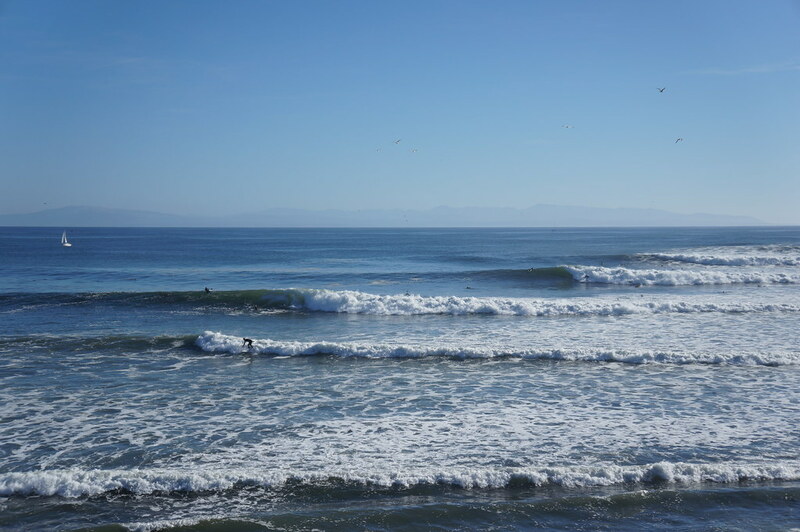 From here, you can over look the ocean where many surfers are riding the wave. 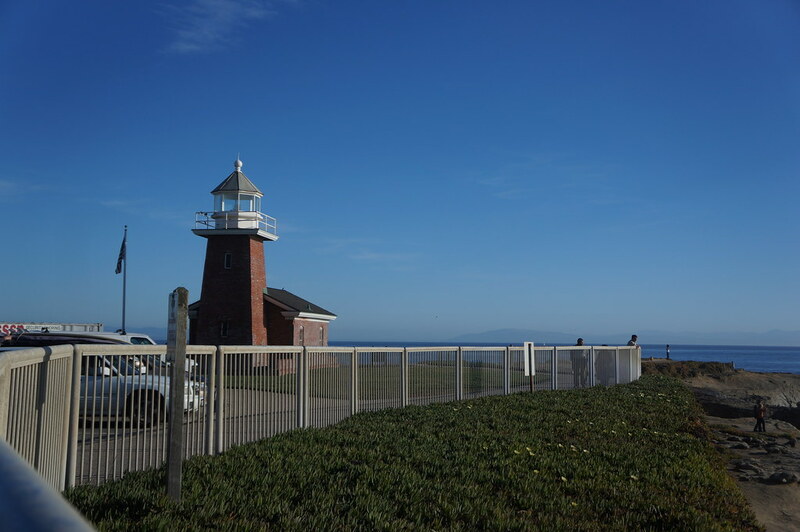 Santa Cruz Lighthouse Field State Beach. Some of the beaches are off leash, but you got to check the hours and follow the rules.